This was the final group match in the Spitfire Gold Veterans Trophy for the previously unbeaten Wanderers Vets and victory secured a home semi-final. 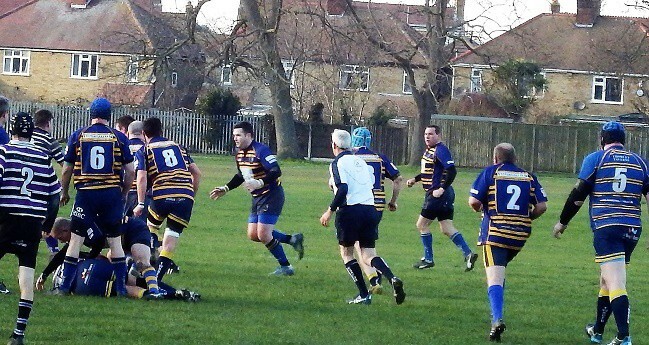 The visitors opened the scoring after six minutes with a try through their forwards to lead 0-5. Wanderers replied from the restart when good handling among the backs was finished well by Micky Capling on the left wing who crossed in the corner. Wanderers enjoyed the majority of to possession during the remainder of the first half but there was no change to the 5-5 score at half time. 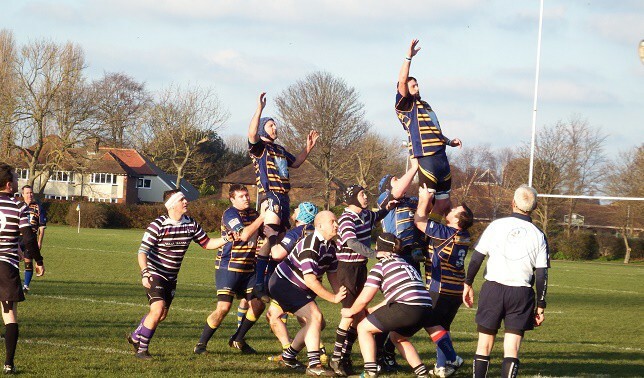 Thanet were quickly into their stride, playing up the slope, in the second half and took the lead with a try by prop forward Andy Bourton after two minutes. Neil Roby converted. Anchorians hit back quickly when some smart handling led to a try wide left but the conversion dropped just short. 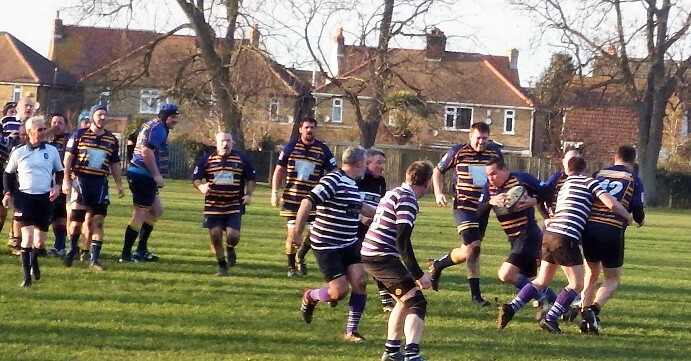 Trailing by just two points at 12-10 the visitors built a good attack that was halted at the last ditch by a Richard Case tackle. Peter Macaulay led a couple of line breaking attacks but the third try came following sustained pressure from the pack and was scored by No 8 Steve ‘Buster’ Merryfield. Captain Elliott Stokes was pleased to win against a resilient Gillingham side and hopes to be at full strength for the semi-final, at home February 24, which is expected to be against Sevenoaks.